Smart technology enabled individuals and businesses alike to stay connected to the world on their fingertips regardless of time and distance. It is a new frontier that is proving highly beneficial to those who have the foresight to comprehend what all these changes mean to the global economy. And blogging plays a more pivotal role than ever in any institution or company because it communicates their message to the public at all times without fail as long as they are able to capture the words (and the message) they want to convey. Remember that a big majority of the population is so active on social media these days. 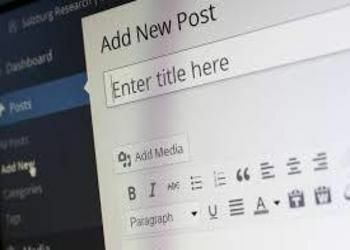 You can devise your blogs or contents to be posted on your company’s social media channels or provide a link that directs the customer to your website where they can see for themselves what your company is all about and read about all the things that you can offer on the table. You don’t have to be there all the time to answer customer questions. Just whip up some really helpful contents that will guide your readers (and hopefully, future customers) on just about every aspect of your business. You’ll be surprised how many of these curious onlookers were converted to actual sales because they found what they need through your blog or the amazing content you provide on your own site or social media account. By using the right words, you also make your site stand out among the web traffic and among the first ones that the public sees during regular browser searches. If you have the flair for writing, take advantage of it and showcase to the world what sets your business apart from the rest. If you are not that savvy with words, hire someone who is to convey the message you want to share with others and attract the kind of traffic that you want. Of course, you should always make it a point that all your materials are related to your business or the niche you are in and should be timely and relevant as well. Spice things up with seasonal contents that share the sentiments of the public or gain your authority in the filed by publishing contents that talks about your mastery of the product or service you are offering. Learn to strategize with the type of content you post and over time, people will flock to your site and your business because you provide them real value for their money, which is what makes a lasting impression to the public.